The most complicated item on the menu for the Beverly Hills Feast of Biblical Flora & Fauna was the goose. The fact that we are serving geese tonight is nothing less than a miracle. It nearly brought the chef and myself to tears. Here is the incredible but true story. Geese are unusual creatures - when they grow up, they grow down. We wanted to have them on the menu because they are significant in a Biblical context. A description of the lavish banquet served at King Solomon’s table every day includes several types of mammals. But there is only one type of bird that is a sufficiently special food item to be included on this list, and that is "fattened barburim." What are these barburim? In Modern Hebrew, barbur refers to the swan. But this does not seem to be the barbur of Scripture, since swans do not appear to have been fattened for the table in Biblical times. The same is true for ducks, which were fattened in the medieval period, but not in antiquity. Thus, the verse presumably refers to geese. The wild graylag goose has been domesticated since ancient times. In the ancient city of Megiddo in Israel, carvings have been found of domesticated geese. These date from the ninth century BCE, which is during the reign of King Solomon, and thereby show that geese were eaten in that period. Indeed, ever since then, the goose has been prized as a delicacy. A famous Shabbat song lists the goose in this context: "Lehitaneg b’ta-anugim, barburim u’slav v’dagim - To delight in delicacies, in geese, quails and fish…"
So, we had to have goose on the menu. But it is extremely difficult to acquire kosher-certified goose. There is no commercial production of them. So, this would have to be specially arranged. And that proved to be more difficult than we could possibly have imagined. First, we had to locate some geese. That is not easy. Geese are not raised in vast numbers like chickens or ducks. And this is the wrong time of year. Geese do not hatch year-round like chickens – they hatch in March and are slaughtered in the fall. 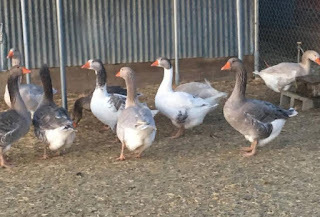 Finally, we located a seller who said he had some geese of the American Buff breed. We were all set to go and collect them for shechitah. But then we received a somewhat blurry photo of the geese, and the geese in the picture were not American Buff. 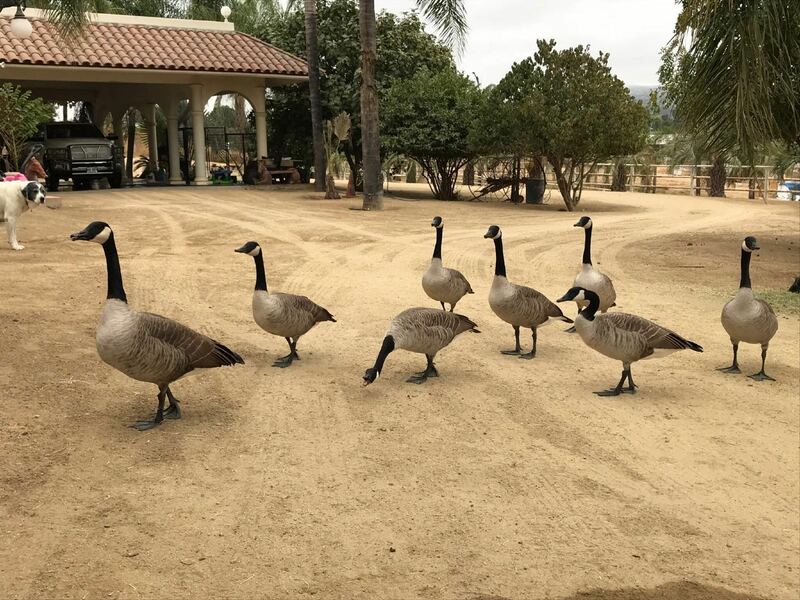 The OU promptly said that they could not certify them as kosher without knowing exactly what kind of geese they were and ensuring that they were a kosher type. Because the OU has very high halachic standards, and they don't want anyone to accuse them of being loose as a goose. And perhaps these geese were hybridized with Chinese geese. And there are some shochtim who have a custom not to shecht Chinese geese. I have to say that I did not agree with this at all. Because while the geese in the picture were not American Buff, so what? First of all, they were clearly basically greylag geese of one breed or another. There was no particular reason to think that they were hybridized with Chinese geese. Second of all, even on the off-chance that they were hybridized with Chinese geese, so what? There is no real reason not to eat Chinese geese; nobody has ever proposed that there is anything at all wrong with them. What presumably happened is that some people simply lacked a tradition for them, and this evolved into a tradition not to eat them. Third of all, Chinese geese are fully interfertile with domestic geese, producing fertile hybrids, and there is ample halachic basis for stating that is if a bird is fully interfertile with a known kosher type then their offspring are kosher (as discussed at more length in my essay Chicken Wars). 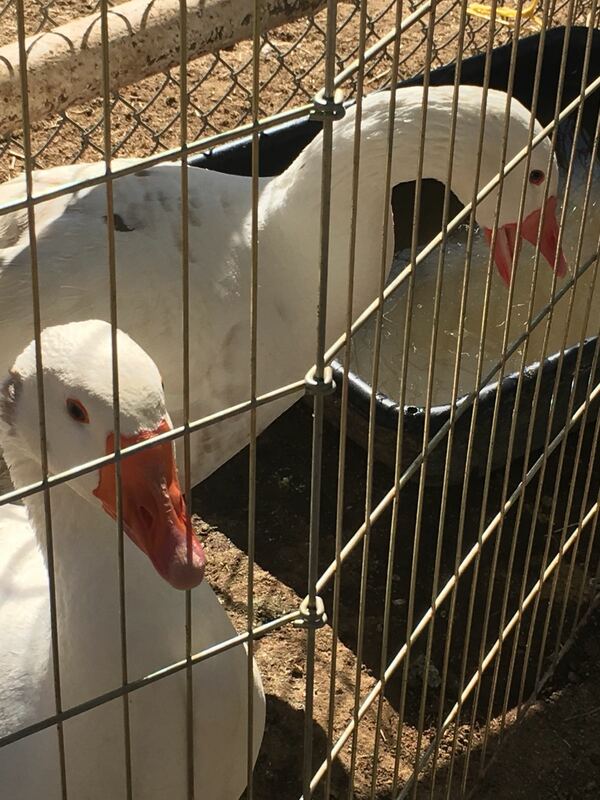 Notwithstanding my arguments, the OU would not certify these geese without close-up detailed photos and an accurate breed description, which would rule out their being hybridized with Chinese geese. So I told the shochet to get on down to the farm as quickly as possible, and take good photos. I was frustrated at how the shochet seemed to lack a sense of urgency. Goose the gas, I said! 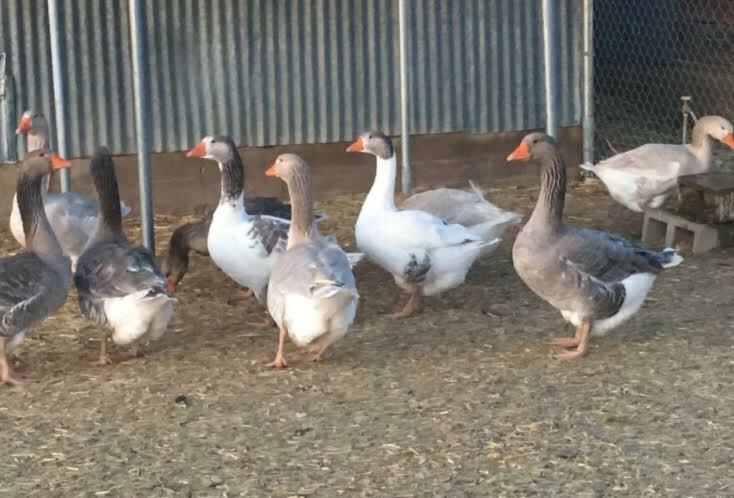 But by this time, the seller had given up on us and had sold the geese in question to somebody else! It looked like our goose was cooked. But the shochet then asked me if Canada geese would be acceptable to the OU. Now, Canada geese are a species of wild North American geese, and there is obviously no tradition on them. So I told him that they wouldn't be good. But then I thought, Well, it doesn't hurt to ask. And lo and behold, the OU said that although nobody has ever shechted a Canada goose, they would approve it—because they are roughly similar to domestic geese and can hybridize with them. At this point, it was already Thursday morning, and the chef was getting frantic, since it takes a while to marinade and prepare geese for consumption. And it was dawning on us that there was a real problem with this shochet. He was of a certain chassidic group who just don't feel a sense of urgency about anything. It was 11am and he hadn't even left his home yet! So we told him to stop being loosey-goosey and to get on after these geese. Several hours later, the shochet texted me that they were having great difficulty catching these wild Canadian geese. But I told him to stick at it, and that it would hopefully only be a wild goose chase literally, not figuratively. Finally, they captured six geese! But now there was a new problem. Midday Thursday, we discovered that the OU mashgiach, to supervise the shechitah, was unavailable. He sent a message that he was otherwise engaged and we couldn't even reach him by phone! Thereby followed hours of frantic phone calls to friends in the OU. I was advised to drop some names to the highest levels of the OU. But who? A Hollywood star? Ryan Gosling? The answer was our donors, the Geese that lay the golden eggs. Now, I am normally a somewhat shy person - I wouldn't say boo to a goose. But I spoke to the OU leadership, and I stressed the urgency of the matter, and I dropped the names of our donors. But I was told that there was nothing that could be done. Still, shortly afterwards I got a message that the mashgiach was suddenly available. Thank God! And then I found out that the geese had escaped. This was beginning to look more and more like God was playing some kind of trick on us. But not to worry, said the shochet, he had a lead on eight domestic geese, of the pilgrim and Toulouse varieties, that were available, and he was on the way to pick them up. And then the OU told us that our shochet was unacceptable. Quite why this hadn't come to light in the weeks of preceding discussion is a question that I still don't have an answer to. Somehow both the shochet and the OU had neglected to inform us that the shochet was not on the OU’s approved list of shochtim. And finding a shochet in Los Angeles is no easy matter. The OU flies in its own shochtim from the East Coast weekly, and they had just flown back. There was one local shochet that they named who might be acceptable, but he was out of town. 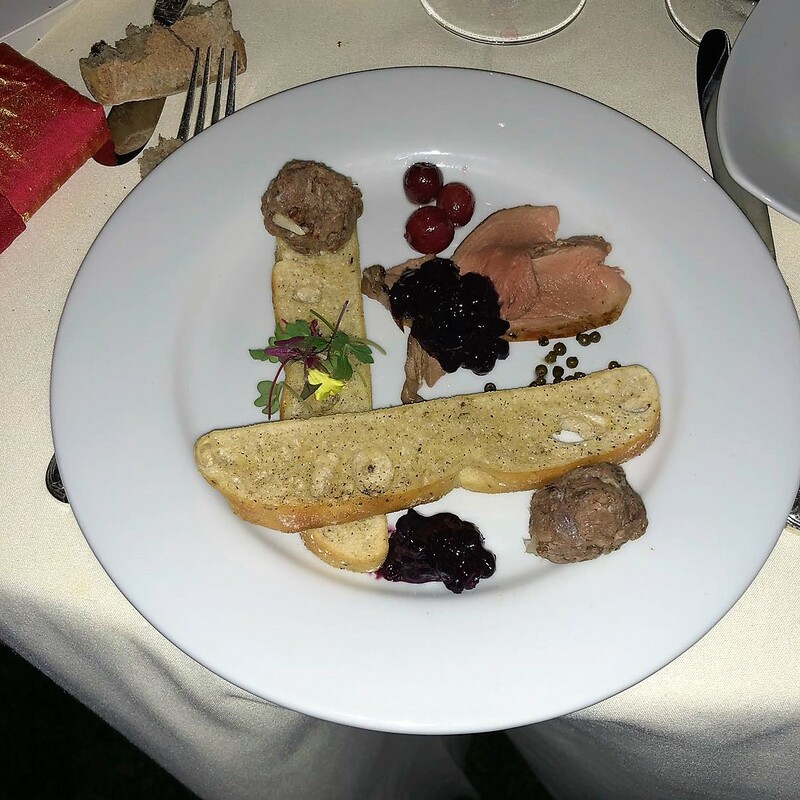 By this point, the chef and I had totally given up on getting geese. It was a tremendous disappointment, and we were trying to figure out what to serve instead. But then I got a text from the original shochet saying not to worry, he had it all sorted, they had tracked down the shochet who was out of town, he was on his way back, and they were on the way to shecht the geese, with the OU mashgiach, in someone's backyard. At one-thirty a.m., on Friday morning, the chef received eight shechted geese. When I got the news, I broke out in goose bumps. So, that's the extraordinary story behind the geese that we are serving tonight. The chef and I are not exactly sure who is to blame for the fiasco. No doubt, when we finally get the bill from the guy who was assigned to handle this, it will be through the roof. So we're going to tell him to do something that a duck can't do but what a goose can do: to stick his bill up his tuchus. But it is extremely difficult to acquire kosher-certified goose. There is no commercial production of them. So, this would have to be specially arranged. And that proved to be more difficult than we could possibly have imagined. I regularly find smoked goose breast in my local supermarket in Jerusalem, and frozen goose liver and goose fat in Machane Yehuda. I even found frozen goose meat when I once had cause to look for it. 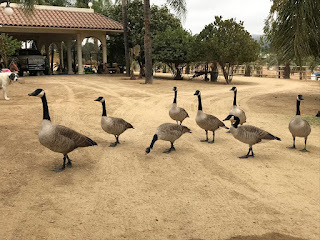 Presumably these come from commercially produced geese that were schechted properly, given that they all had a hashgacha; is your described lack of geese simply a US-only problem? Or are you referring to the inability to obtain fresh goose? It seems to be a US problem. In New York, one can get kosher goose for $12.99/lb from the website below. However, I was at the dinner on February 11th and the food was delicious! There was nothing I didn't want to try and every bit of it was incredible. I also really enjoyed your presentation. I found it to be entertaining and informative. My wife and I happened to be in LA for the weekend visiting my brother. Thankfully, he got tickets for us so we could attend this event. The next time I'm in Israel, I will make sure to visit the museum. 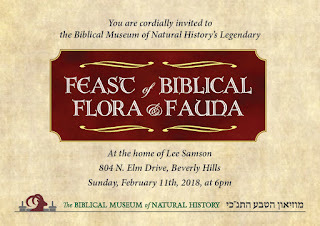 Incidentally, my wife's first cousin (Tziona) is married to your wife's first cousin (Yedidya). Or so I'm told. There is actually a dedicated kosher plant recently opened in Hungary that Shechts between three and four thousabd geese daily. In the UK they available only around December, and only if preordered with the farm several months in advance. PLEASE can you post the photos and/or videos of this event, together with explanatory captions? How can there be a mesorah for Canada geese? And how can any one have trouble catching them as they seem to be lazy birds with no fear of humans? Many wild Canada Geese in North NJ. Nasty and filthy but protected by law. They don't fly south in winter. Towns go to extreme measures to get rid of them. They are very protective of the goslings in the nests. Reading your story,I became confused as to who's goose was cooked, but you made it clear when the guy at the end gets the bill, he will gander at it for a long time. Canada geese don't seem to migrate anymore, and are considered a nonnative pest species. If they are kosher, this is a great thing, and we should use this information to provide lowcost meat to struggling Yidden! Canada Geese don't migrate. Regulations are for migratory birds. "So we're going to tell him to do something that a duck can't do but what a goose can do: to stick his bill up his tuchus." What a yeridas hadoros.... Language that not too long ago a coarse non-Jew would be ashamed to put in writing. And the תנ"ך says משתין בקיר plenty. Funnily the phrase often gets left out in translation to English..
Don't be so pious please. Times change. And if you saw fit to cut-and-paste and highlight it, then you too have changed with the times. Yes, I hesitated about cutting and pasting it. But if I didn't, it might not be immediately clear what I was referring to. Yes, times change. And bananas rot. Worse than our rabbis speaking trash is that we don't even notice anything amiss about their speaking trash. What do you think about Chazal using expressions such as "grab him by the ##### until he gives it over?" Hello, Anon, I don't know what particular quote or expressions you're talking about. Presumably chazal do not have to be defended against the charge of using the vulgar expressions of the Roman or Persian peddler. You are right that there are questionable statements in the Gemara. But we're supposed to learn yiras shamayim and proper behavior in great measure from observing tzaddikim. And it is unimaginable to think of people like Rav Moshe Feinstein or the Lubavitcher Rebbe using crude language. As someone pointed out above, even ordinary Americans (let along ordinary Englishmen) wouldn't use crude expressions just two generations ago. "You are right that there are questionable statements in the Gemara. But we're supposed to learn yiras shamayim and proper behavior in great measure from observing tzaddikim." So we should learn from recent gedolim rather than Chazal? "And it is unimaginable to think of people like Rav Moshe Feinstein or the Lubavitcher Rebbe using crude language." It's unimaginable to think of them doing lots of things that are perfectly acceptable for us to do. "even ordinary Americans (let along ordinary Englishmen) wouldn't use crude expressions just two generations ago." Right, that's the whole point. Times change. Eh, anyone who thinks that holy rabbis never used such speech is talking out of his Artscroll. Yes, times change. But those who believe in God, religion, and objective morality generally regard most of the changes of the past 50 years to be very bad. As for inappropriate language: You are right to a certain extent and I'm not exactly sure how to resolve the issue. There are times that Tanach and Chazal are super careful to use lashon naki and times that they are not. It is not clear to me what the thinking is. Perhaps some expressions that seem crude to us weren't back then. For example, "hogwash" is a perfectly acceptable word to use nowadays even though when you think about what the word technically means, it probably shouldn't be. As for basing one's behavior on modern rabbis: Yes, you often need to see something to model it. How do we know what eidel means? How do we know what being a mentch means? Most would say that we need to learn these type of things from the Torah Shebaal Peh -- i.e., from living rabbis. Tanach and Chazal, of course, are relevant in terms of learning lessons on how one should speak. But so are living rabbis. What is strange is that in Eastern Europe, goose was a very common bird eaten by Jews, even the very pious. Somehow, the move to America turned something commonplace into something rare. Very cute and enjoyable write-up, but the ending, in my humble opinion, is beneath you. Beneath who? In *my* humble opinion, this is not the lowest of him. Torah lists instances when we can kill animals and fowl, which are primarily when we want to eat meat and for various rituals, but entertaining purposes are not among them. Lazar, what does your point have to do with this post? To make a meal to satisfy your hunger you do not have to go out of your way to kill a particular specie- it was all done for "entertaining" guests. But (a) the evening had an educational and fundraising goal and (b) if the people hadn't eaten geese, they would have eaten chicken. So are you saying that according to the Torah, it's better to kill four chickens than a goose? A gantz feiner maiseh, aber vos iz vegen di katchkes (a ganz is a goose and katchkes are ducks - in Yiddish). It is my understanding that some wild ducks aren't considered kosher birds. Don't all ducks have the simanei kashrut described in the Talmud? They certainly don't have the ability to be a 'dores'. I would think that the requirement in the Shulchan Aruch to have a 'mesorah' about a bird species in order to consider it kosher is intended for cases where there may be a doubt. In any case, the idea of requiring a supposedly ancient mesorah is weakened greatly by the acceptance of turkey kashrut despite its being unknown to Jews prior to its introduction from the New World. I was hoping that our zoologist blog owner would respond to my question about the duck of questionable kashrut. Further research (just some internet reading) identified that bird as the Muscovy duck - a new world (tropical) native. This duck doesn't produce fertile offspring with the common duck (Mallard derived), so it isn't the same halachic species. It also appears not to have one of the Talmudic signs of a kosher bird - an extra toe (spur) in back of its feet. So, a combination of their not being an ancient mesorah (new world native) and the lack of one of the signs of a kosher fowl made its kashrut questionable. In contrast, the turkey, while a new world native lacking ancient mesorah, has all the signs of a kosher bird. Common ducks may not have the spur either, but have been eaten since ancient times. All types of ducks and turkeys are definitely, not 'dores' (raptor). AFIK Any turkey, goose, duck and chicken are Kosher. Rabbi Slifkin - you must become a shochet then no more problems. Goose is regularly available in America. Empire, rubashkin, and a long island supplier whose name I forget. Problem is, butchers have to buy a case of three at a time, frozen. They're afraid it won't sell that fast, afraid no one wants to buy frozen. I had a client whom I advised to try it anyway, and guess what -- he sold. For some reason, its in demand for rosh haShanah. (Just like brisket). Of course, there's very little "meat" on it. Hence expensive. Your skin thickened a lot from all the attacks against you, and that's natural. Since, you retract only when faced with very incontrovertible evidence. So why did you retract about the bat cage and werewolves? Because wise, recognized people who admire and love you and never said an indecent word against you asked you to. 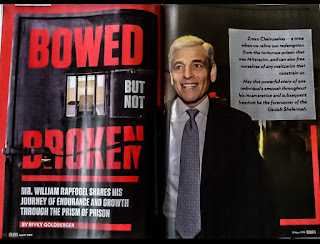 Where is Rabbi Alderstein now? Where is Professor Kaplan now? They're busy with other things. So you're basically on your own cause the only way to get past the skin is to come from the inside. You on your own have to filter out things that don't belong cause no else can do it for you. Dr. Rich Schwartz isn't the only one who shoots himself and his cobelievers in the foot by opening unnecessary fronts that just make his main point guilty by association. As for support from readers, with such a range of readers you can get support with even lower things. That would reflect on them, not on the matter. Set your own correct standards and make your own correct decisions. Also in dollars and cents, do these things help or harm? I admit that the rest of what you wrote was very good as usual, but it doesn't mitigate objections to your closing. If anything, it makes the disappointment greater.